Roy Jackson’s retirement at the Angel in Eckington. June 1991. See note below. 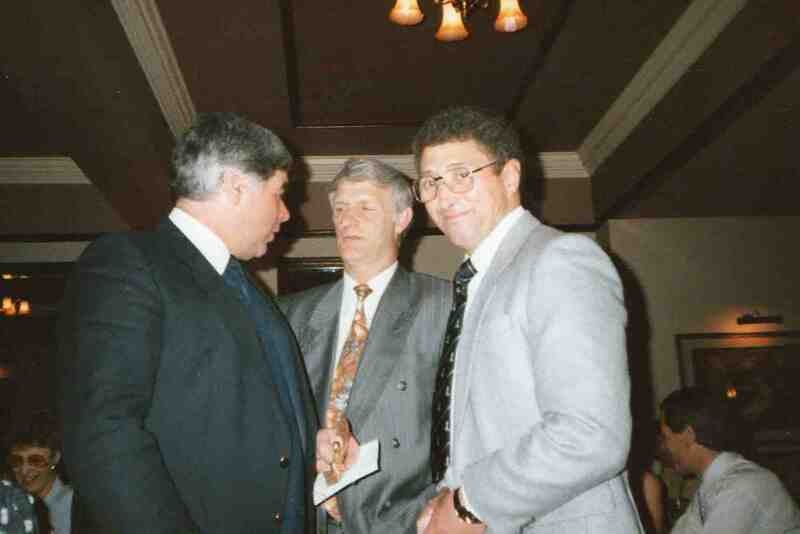 Roy Jackson’s retirement from High Moor Pit in June 1991. Pictured are Hedley Ward (The Bear), Roy Jackson (General Jackson) and Graham Jennings.